Longleat Adventure and Safari Park has said a woman on the miniature train that derailed on Wednesday afternoon has broken her leg. The woman was airlifted to Bath’s Royal United Hospital. Four more visitors were also injured in the incident that took place at about 3.40pm when the train was coming into the station. The popular attraction has launched an internal investigation and is assisting the Amusement Device Inspection Procedures Scheme(ADIPS) and the Health and Safety Executive with their inquiries. Longleat released this statement on Thursday morning. It states: “Firstly we would like to extend our sympathy and best wishes to all those who were affected by the incident involving the miniature train on Wednesday, August 20. We would like to thank all emergency services personnel for their speedy and professional responses. We would also like to thank all the members of the public who acted so quickly to offer help and assistance. We are aware of one significant injury to a woman who, we understand has a broken leg, and was taken by Air Ambulance to the Royal United Hospital in Bath. A further four visitors were attended to by Longleat first aiders and paramedics before being taken away by ambulance. Our own staff were immediately on the scene of the incident and began assisting passengers and other visitors following the incident along with paramedics and members of the public. The train, carriages and track are inspected by staff on a daily basis. All drivers and railway staff undergo a comprehensive training programme, which includes dealing with emergency procedures. In addition to our own checks, the entire railway system is also subject to rigorous safety inspections by the Amusement Device Inspection Procedures Scheme (ADIPS) annually. It is thought the investigation could take several weeks. The Swiss Health Survey 2012, which assessed the impact of employment on mental and physical well-being, found that 52 percent of working people between 15 and 64 years old were exposed to at least three physical risk factors such as carrying heavy loads (33 %), loud noise (25 %) and toxic products (22 %). The figure, which marks a ten percent rise on 2007, relates mostly to those working in agriculture (87 %) and construction (79 %), although physical risks were also found in the service industries, transport, commerce and health and social work. These people were two and a half times more likely to report a generally bad state of physical health compared to those who were not exposed to such risks. As for mental health, the number of people fearing they will lose their job had not increased since 2007, remaining at 13 %. Such people are twice as likely to report psychological distress than those who feel secure in their jobs, according to the survey. The survey also found that 46 % of employed people in 2012 spent three quarters of their time or more working under significant pressure, a known risk factor for mental distress. A lack of autonomy at work, another factor contributing to psychological problems, was found to affect more women than men in 2012 (37 % versus 29 %). The survey also found that 19 % of women and 16 % of men had suffered discrimination or violence at work in 2012, such as intimidation, harassment and verbal abuse. A total of 11,157 Swiss residents took part in the survey, both employed and self-employed. Dr Richard Judge has been appointed chief executive of Britain’s workplace health and safety regulator. He will start at the Health and Safety Executive in November 2014. Richard is currently chief executive of the Insolvency Service. Prior to this he had a varied career in science and technology organisations spanning the nuclear, rail and environmental sectors. Richard has a professional background as a Chartered Engineer (Fellow of the Institution of Mechanical Engineers), and is qualified as a Chartered Director. He will take over from Kevin Myers, who has been acting chief executive since August 2013, when Geoffrey Podger stepped down after eight years in the role. Manchester Council faces huge fine for health and safety failures over a litter picker who was hit and nearly killed by a car. Paul Rose, 60, was crossing Princess Parkway in Manchester after picking litter from the central reservation when he was hit by a car and sent flying into the air. Manchester council faces a huge fine for failing to ensure the safety of a street cleaner who nearly died after he was struck by a speeding motorist. Paul Rose, 60, was crossing Princess Parkway in Manchester after picking litter from the central reservation when he was hit by a car and sent flying into the air. He spent three days in intensive care and six weeks in hospital with four cracked ribs, lacerations to his liver, a fractured eye socket, a smashed pelvis and a collapsed lung. Eye-witnesses believed he had died and doctors told the super-fit father-of-five most people would have perished in the incident. More than a year after the smash on July 13 last year, the grandfather from Stretford is still on medication for ‘unbelievable’ pain, struggles to walk even short distances with the aid of a stick and suffers from double vision. Council chiefs have now pleaded guilty to breaches under the Health and Safety at Work Act 1974. The motorist was previously convicted of dangerous driving. No warning signs were erected to inform motorists litter pickers were working on the road and staff complained they weren’t given safety training for operating on the roads, Health and Safety Executive prosecutor Emily Osborne told Trafford magistrates. Employees reported they had ‘never seen’ a risk assessment carried out in 2012, the court heard. “The risks in this case were entirely foreseeable,” said Mrs Osborne. Council officials have now introduce warning signs, ‘completely revised’ staff training and use Mr Rose ‘as a story to embed lessons’, she added. After reading Mr Rose’s statement to the court detailing the devastating impact on his life, chair of the bench Viv Alexander reversed a decision to accept jurisdiction and ruled the maximum £20,000 fine at their disposal was insufficient. The case was sent to the Minshull Street Crown Court, which can impose an unlimited fine, for sentence on September 12. David Temkin had earlier urged the bench not to be swayed by Mr Rose’s ‘very emotive statement’. After the hearing, Mr Rose told the M.E.N. he still faces further surgery and was ‘glad I’m still here’. After the hearing a Manchester council spokesman said: “This was a terrible accident in which Mr Rose was hit by a motorist travelling at nearly twice the legal speed limit, who has since been prosecuted for careless driving. He was left with serious long term injuries and our thoughts remain with him. We are continuing to support him with a view to helping him return to work. More than 3,000 students in Wales slept last year in university bedrooms containing asbestos, BBC Wales has learned. Cardiff, Aberystwyth and the University of Wales Trinity St David all confirmed they have rooms with the material. They said that because the material was considered low risk in the rooms, they do not tell students it is there. The British Lung Foundation called this “reckless” while the National Union of Students called for transparency. 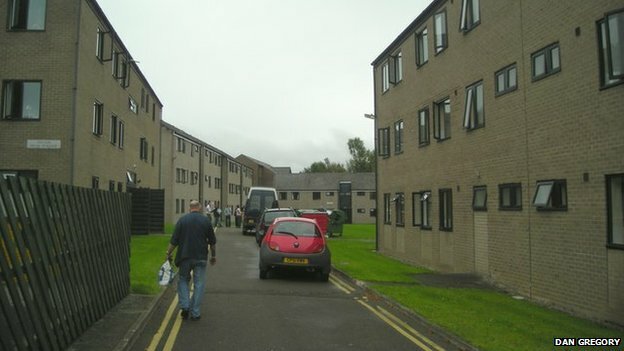 Around 15,000 students in Wales live in university-owned halls of residences. The Health and Safety Executive says that as long as asbestos is not damaged – or located somewhere where it can be easily damaged – it does not pose a risk. But it says the fibres if inhaled can cause lung complaints like asbestosis and mesothelioma. Cardiff University has the highest number of bedrooms with asbestos – it estimates there are around 1,500 where the material is present at halls including Cartwright Court, Aberconway Hall, Talybont North and Roy Jenkins Hall. A spokesperson for the university said: “We hold the health, safety and security of our students in the highest priority. Aberystwyth University said asbestos was present in 1,088 bedrooms in Cwrt Mawr, Pantycelyn and Penbryn Halls – most of which is in vinyl floor tiles under carpets which the university said posed no risk. A spokesperson for the university said it “complies with legislative standards, and undertakes the appropriate asbestos testing and surveys”. 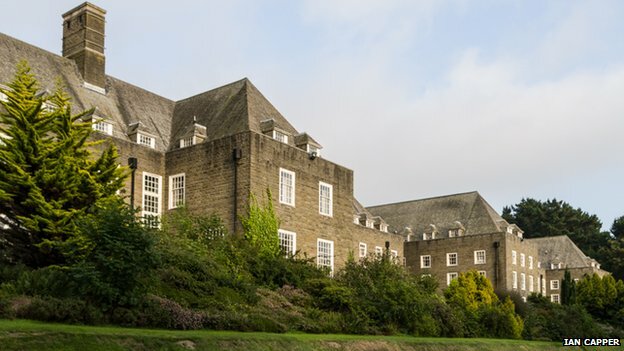 The University of Wales Trinity St David said asbestos could be found in 443 rooms at its Lampeter and Carmarthen campuses. “All student bedrooms at the University of Wales Trinity Saint David have been surveyed in accordance with the relevant Health and Safety Executive requirements,” a spokesperson said. “The university is currently reviewing its position on informing students,” they added. Beth Button, president of the National Union of Students (NUS) Wales, said: “It is concerning to hear that such a large number of rooms in university accommodation across Wales may contain asbestos. Dr Emrys Evans, chest physician and spokesperson for the British Lung Foundation Wales, said he was concerned after their research in 2012 found that “awareness of asbestos in Wales is generally quite low, with just 27% of people able to confidently identify asbestos in their homes”. “Exposure can often occur unwittingly, and so wherever people live or work they should reliably be informed of the presence of asbestos. Not to do so is reckless,” he added. The information was given to BBC Wales as a result of a Freedom of Information (FoI) request. Four Welsh universities – Cardiff Metropolitan, Swansea, Bangor and Glyndwr – said none of the rooms in their accommodation contained asbestos. 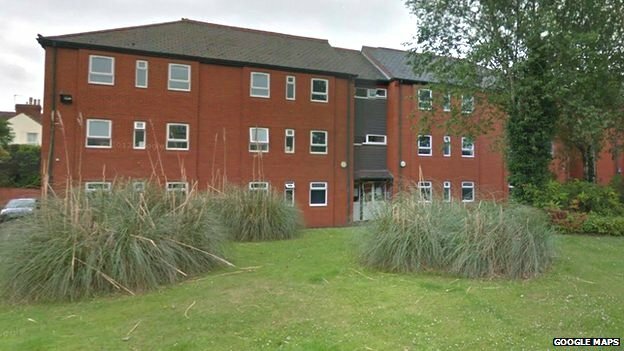 The University of South Wales said some rooms at its Caerleon campus contained asbestos but they were no longer used. This spring, Green America’s Bad Apple: End Smartphone Sweatshops campaign, in partnership with China Labor Watch (CLW), called on Apple to remove toxic chemicals including benzene and n-hexane from its supplier factories in China. Five months after the launch, with 23,000 petition signatures, Apple announced on August 14 that it would “prohibit the use of benzene and n-hexane” at 22 of its final-assembly supplier factories, 18 of which are in China. What are Benzene and N-Hexane? A known carcinogen, benzene can cause leukemia, a blood cancer, and leukopenia, a dangerously low white blood cell count. The chemical n-hexane is a neurotoxicant that can cause nerve damage and paralysis. The dangers of these vaporous chemicals are compounded after long exposure, as is almost universally the case for workers in the electronics sector who work on average 11 hours a day. Of course there are thousands of other chemicals used in electronics manufacturing, some of which lack adequate testing and many of which are not disclosed by Apple. What does this commitment mean for workers? Apple’s commitment, effective September 1, 2014, means that the estimated 500,000 workers who work in Apple’s final-assembly, or “first-tier,” suppliers can no longer work with or be exposed to benzene and n-hexane. These factories represent roughly 5% of Apple’s suppliers in China. Apple’s 331 other suppliers in China are second- or third-tier suppliers, who make and assemble the parts of Apple’s products, such as the plastic encasement of an iPhone or laptop, the buttons, or chargers. An estimated 1 million workers work deeper in Apple’s supply chain, where chemical monitoring and safety measures are believed to be less controlled than in first-tier facilities. “Who Pays the Price? The Human Cost of Electronics”, a 10-minute documentary, profiles several of the millions of migrant electronics workers in China. How does this commitment affect the toxicity of cell phones? Thanks to a 2007 Greenpeace campaign, Apple committed to reducing or banning a number of toxic substances in its iPhones, including brominated flame retardants (BFRs) and chlorinated plastic polyvinyl chloride (PVC)—which had been linked to thyroid problems, learning disabilities in children, and other health issues. Apple has also banned lead and mercury from its final products. However, these bans apply only to the final products and not to the manufacturing processes, which means workers still run the risk of being exposed to these chemicals. In 2012, HealthyStuff.org published a study that ranked 36 phones on their hazardous substances content. You can check how your phone scored here. With production set to ramp up this fall with the release of the iPhone 6, Green America and CLW are now calling on Apple to extend the chemical ban to substances other than benzene and n-hexane, and to all of its supplier factories, including early-production facilities. We will also ramp up the pressure on Apple’s competitors. If you’ve ever wondered if signing a petition can really make a difference, this campaign has shown that it can. In just 5 months, with the backing of thousands of Apple customers, we’ve been able to push one of the biggest companies in the world to change its ways and protect workers from hazardous chemicals. You too can thank Apple for taking this step and help Green America keep up the pressure on Apple. Take action! Green America is part of Safer Chemicals’ coalition to push Congress and retailers for more sane laws and policies on toxic chemicals.